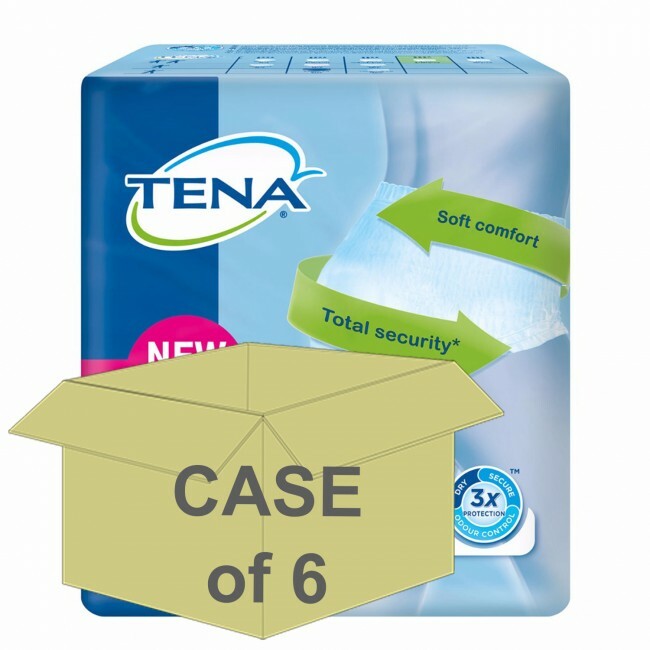 TENA Pants Normal is a slim fit, comfortable product ideal for managing moderate incontinence. The products are easy to pull on and remove and stretch to fit the body just like regular underwear. The pants gently follow the contours of the body, ensuring that the protection always stays in place. Tena Pants provide a really close body fit, offering the individual maximum comfort and security. TENA Pants Normal provides enhanced care and protection due the addition of innovative SmartDesign. This new design incorporates a special balance of super absorbent materials, providing reliable protection for leaks, no matter how big or small. TENA Pants Normal are now 20% thinner, providing extra discretion and ensuring you feel even more confident throughout the day. TENA Pants Normal are as easy to pull off as they are to pull on. You can simply tear open the side seams and pull off the pants. Due to breathable material on the outer layer, unnecessary dampness is prevented, encouraging healthy skin.